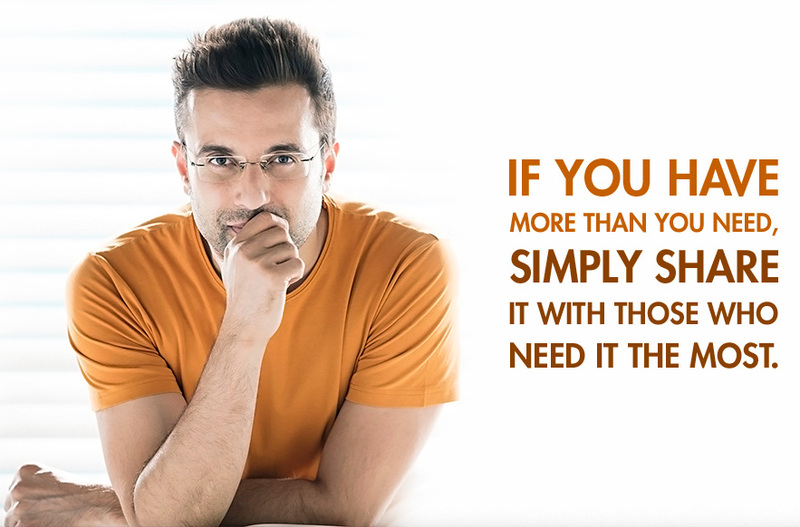 Sandeep Maheshwari, who is famous for motivational seminar and owner of Imagesbazaar.com . Now he is a success full person. From his journey zero to hero there are lots of struggle and failure but her never stopped and now he achieve success. Sandeep Maheshwari born in a middle class family. His family had aluminium business that time. Which was in share, partnership with another one. But a cause of few reason his father was rejected from the business. There was a lot of problem in there family. That time Sandeep was read in class 10. When he saw his family make defence with money he understood. How tup is to income money. He decided to do something different in this life. His father open a booth (STD/PCO). Sometime he going to the shop. And sell some small thing. He is also a brilliant study and worked too hard to take admission in Delhi University. After completing the the college life he joined a multilevel company Japan Life. And there he make a team with three other . After six month the company get out him. Then he wrote a book on marketing. But the book was failed to make a good marketing. Again it was a failure. But to write this book he don’t have any idea how much book he had been read. Which help him to form a business. When he was in college life he do some modeling . and make a new pasion Photography. After that he started to make himself as a professional photographer. He started his journey with a low cost camera and doing a seven day course. He make his name as a photographer. But till now he was not so happy. He thought to make a record then he shoot 10 thousand photos of 100 modells in a day which make a Limca world book record. That time he was a famous photographer then he make a photography house for shooting and open a office. But he never stopped. He thought to make a website where he can sell is photos and anyone can sell their photos. Actually he thought to make a place where anyone can show their talent. And he make a website Imagesbazar.com in 2006. But after few time this site take too much loading time . which make a big issue for his failure. But he not stopped and also not move out. He search the fault and set it with help of developers. Now this website is NO1 Indian model photography site. He is a success now. Now he motivated everyone with his life story and true expandation. He is really a legend. Apart from this, he has also been featured in almost all the leading magazines, newspapers and television channels such as The Economic Times, India Today, CNBC-TV18, IBN7, ET Now, NewsX and more. Does Sandeep Maheswari Ji own any business other than Images Bazaar? thanks for writing this article . this is very useful article for me . i am big fan of Sandeep Maheshwari . very nice post i am happy to read . hello sir ,. I learn something totally new and challenging on on sites I stumbleupon every day. he is great man of youth i am big fan of Sandeep Maheshwari .